The ruins of Göbekli Tepe. 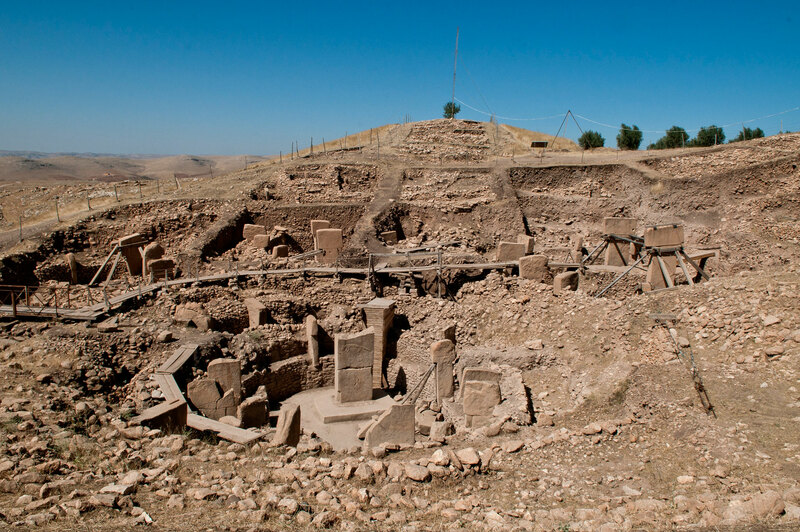 Göbekli Tepe, home to what has been interpreted as one of the world’s earliest temple structures is to get a makeover through a new restoration project. With its 12,000 year old circular structures, complete with carvings and T-shaped pillars, the monument, brought to light by the late Klaus Schmidt, has changed the way we thought about the course of civilization. The huge labor force needed to erect such a monument meant that hunter gatherers had pushed themselves to develop agriculture as a way to secure provisions to support that labor force and not the other way round, as previously thought. Also, due to its possible function, the monument has been dubbed as the earliest known religious site. Due to its importance, the monument is to be enhanced via funding by Turkey’s Dogus Group in collaboration with National Geographic Society. The project includes the construction of protective canopies over the ruins, a larger visitors’ center, walkways and fences. Neighboring to the city of Urfa, where Turkey’s largest archaeological museum has recently opened, the restored Göbekli Tepe is believed draw more tourists in the area of South Western Turkey, which, due to its proximity with Syria, has seen a serious drop to the numbers of its visitors.